Dev (Akshaye Khanna), a police officer, is investigating a double murder case that has only two witnesses, who are also the prime suspects. The suspects – Vikram (Siddharth Malhotra), an acclaimed writer, and Maya (Sonakshi Sinha), a young homemaker, have different narratives about the events of that fateful night. Both the stories seem true but there can be only one truth. 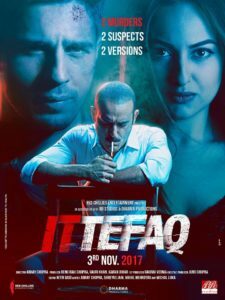 Dev is torn between the two versions of the story, and will not settle till he finds out what happened that night.The movie is a remake of the 1969 movie Ittefaq which itself was an unofficial remake of the movie Signpost to Murder. The movie takes the basic premise of the old Ittefaq but is a modern reinterpretation of it. While the older movie was set mostly in a house and as a result claustrophobic this avoids that. This is more a murder investigation and has Vikram and Maya narrating their versions as they are interrogated by Dev. Both Vikram and Maya hide some things and tell some lies which are caught subsequently. Siddharth Malhotra is excellent as Vikram especially in the final scene. He gets an author backed role. He is one actor who continues to make good choices and play different characters. Sonakshi Sinha is good as Maya. Akshaye Khanna is excellent as the cop Dev. The rest of the cast is good too. Cinematography by Michal Luka is very good. 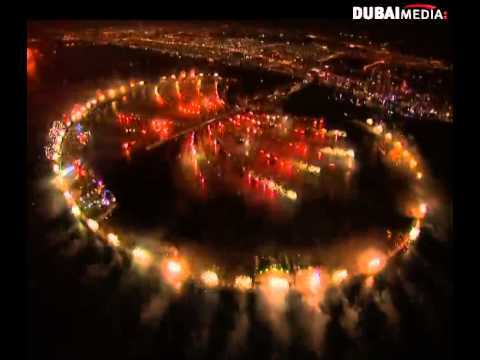 Background Music by BT and Amal Mallik is very good. The movie has no songs thankfully. Editing by Nitin Baid is excellent. Art Direction by Sabu Cyril is very good. Abhay Chopra’s direction is excellent. The movie is engrossing and does not bore even a bit. It has some humor too with some sarcastic and funny dialogues by Dev and the other cops. The final twist is excellent. It is one of the best movies of the year. 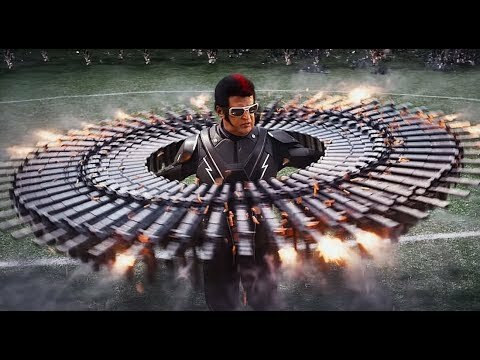 Rajeev Masand reviews this week’s new Indian film 2.0, starring Rajnikanth and Akshay Kumar, and directed by Shankar.